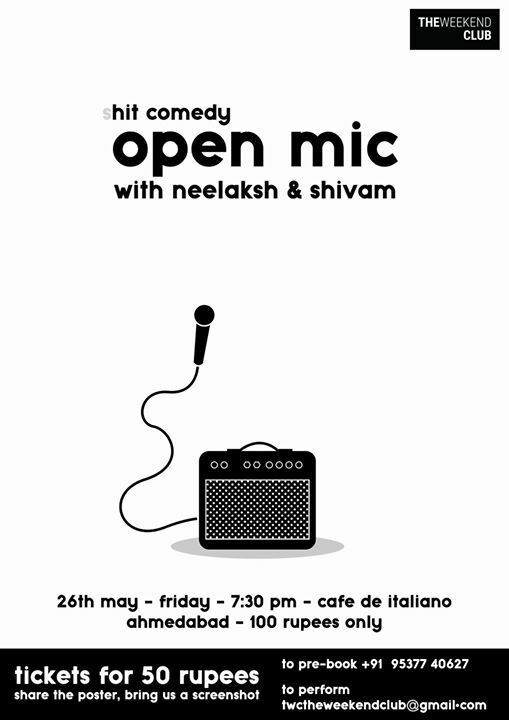 (s)Hit Comedy, an Open Mic event at Cafe De Italiano, Ahmedabad. The event hosted by Neelaksh Mathur from Bangalore and Shivam Agarawal from Ahmedabad And also a SURPRISE ACT! waiting for you.